I am such a fan of Brooklyn-based Upstate and their hand-dyed wares, I have one of their kimonos and constantly get compliments when I wear it. Their clothing and accessories just add that perfect pop of rich color and pattern. So, I can't think of a better accessory to bridge the gap from summer to fall than one of their raw silk sarongs ($225), which can be used as a beach sarong, beach towel, a scarf, a picnic blanket, bed cover, whatever you want! It's super multi-functional, 44" x 76", and we love each one of the seven colors they come in. To enter to win a sarong of your choice: leave a comment below and tell us how you'd wear it or use it, and take a peek at the Upstate Instagram feed while you're at it—cool stuff going over there. Winner will be picked at random tomorrow (9/16) at 6:30pm PST. Good luck! I'd use it as a beach blanket and then take off my bathing suit and wear it as a cover up on my trek up the hill from the beach. Love the watery blues. I love this design - I'm really in love with tye dye lately! Two ways I would wear it: on a beach as a wrap. Second way: I love square pieces of great fabrics to wrap around as a halter shirt. Start by holding it at your back and wrap it around the front and tie it behind your neck. Then, take the loose ends at the bottom and wrap them around your waist and tie them. I would use it as a table cloth. They are gorgeous. Pick me! Beautiful colors... I'd wear it as a scarf/wrap/blanket. I trek around town with a toddler in tow. A multifunctional scarf blanket thing would be VERY useful. :) help me maintain my style while in mommy mode! As a cute and stylish scarf to stay warm at the office, and then as a blanket to lay in the sun at lunch! Very cool, I love the sarongs. I would probably use it as my bed cover, then switch it to the guest room when I have guests over! Definitely a scarf! Fall is just beginning here in Chicago and it would work so well with my leather moto jacket. So many ways! I'd twist and wrap two ends around my neck to make a beach cover up. My Upstate Sarong would be an elegant multi-tasker just like others have mentioned. I would use it as a wrap after going to the beach or as a cloth to cover the table where our studio equipment lives. Although it's still very much summer in Austin and it would be a beautiful pool accessary, I'd love to use it as a wrap over a denim jacket when it cools off. Also digging the idea someone posted above of using it as a table cover. I love them all. I'd probably use it as a scarf, it's getting chilly in NYC and then probably a beach blanket in about 7-8 when it gets warm again. I would wear it in my backyard as a swimsuit coverup and/or at the beach as a wrap when walking on the beach. It might be good folded at the foot of my bed, too. Gorgeous! I'd use it as a bedspread or a wall hanging! These are all lovely! I think I'd use it as a loose wrap, as well as a wrap skirt in a casual summer look. I would roll it up and double wrap it loosely around my neck with the ends tied at the front. It would be lovely with a cable knit deep navy sweater with a neutral toned boot. I also love the idea of tying a silk scarf around the handles of a big leather tote for a flowy accent. Definitely a bedspread, something to hang over my windows, or a cozy blanket. The patterns are gorgeous. I can think of a million ways to use one of these beauties, but a bedspread would be nice! A table cloth, too. Would love this on the bed! As a scarf, with skinnies and boots for the fall. I would wear it as a maxi skirt, and when I wasn't wearing it, which would be never, I would hand it on my wall like a tapestry for all to admire. Beautiful! this is beyond beautiful. i would hammer two nails into my wall and drape the fabric like a garland over my bed. in a pinch, i could grab it and use it for a scarf or throw or picnic blanket. Gorgeous. I'd wear it as a wrap dress! Perfect for music festivals for everything - blanket, sun shade, and shawl when it cools down. I'm in love with raw silk! I am in love with these! I would wear it as a scarf on chilly morning walks in the woods with my dog or to warm up on the beach after a surf session. Then convert it to a dress for a night out with a handsome bearded man. the uses are infinite! This might seem unorthodox, but I'd use it as a curtain to divide my room from my closet. As it stands now, my closet is open for all the world to see. It would be nice to play up some of the other indigos I have throughout my space—it's such a calming color. I'd use it as a picnic blanket! I would use it as a scarf in my overly air conditioned office and then as a wrap by the pool - great in a hot or cold climate! It's really lovely. a scarf in the cold... Possibilities are endless, to be honest. Gorgeous! It would be incredibly hard to choose just one. I would absolutely use it on the beach as a sun shade, a lovely indigo scarf, picnic blanket, couch blanket... Maybe a sarong occasionally. I'd use it as a skirt (e.g. a sarong) while traveling in hot climes and as a scarf while at home! I'd use it as a maxi skirt around the house on those days where it's too hot for pants but too cold for anything short. These sarongs are so beautiful! If I had one, I'd use it as a beach cover up! Since it's still summer here in Santa Monica, I'd use it at the beach. They are beautiful! I would wear it as a scarf or a beach cover up. This lovely sarong belongs as a park lounging blanket at Hardly Strictly Bluegrass in a couple of weeks! I would not do anything to wear these aout. I would wear them at home and cover myself up while reading. Beautiful! It's getting colder where I live, so I would use as a scarf or wrap when walking the dog. Ooh I'd definitely use it as a blanket or a throw. So gorgeous!! Wow that's my color. I would use it as a beachdress and towel for backpacking, because less weight means more comfort during trekkingtours. 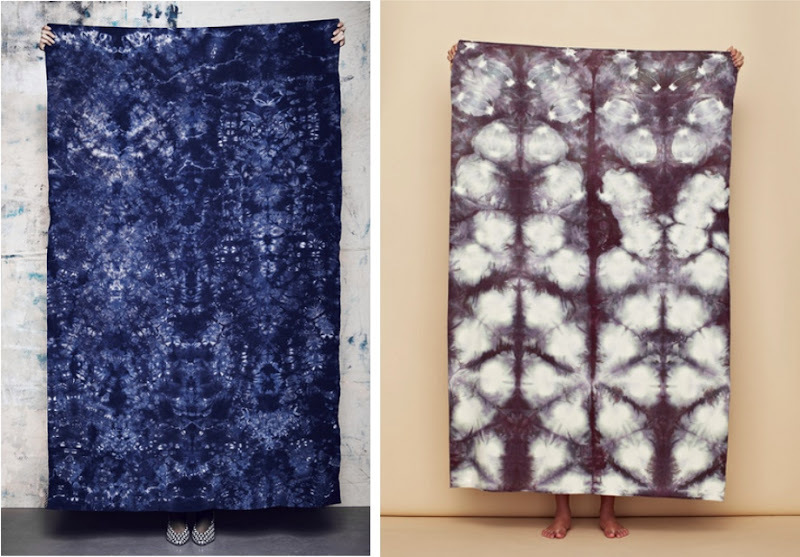 Love the indigo- I'd primarily use it as a scarf, and also as a hanging piece of art! These are so beautiful! I would use one as a scarf/shawl/blanket for when I get cold on the train. These are so beautiful! I would put it on my bed where I could see it every day. I would wear it like a vest with a leather braided belt. However, the possibilities are endless really! As I approach my 36th birthday in less than a month, I just for the first time in my life purchased new bedroom furniture. A couple of the pieces are from Azure, a Colorado-based company that uses beetle-kill pine which naturally has blue streaks running through it (blue is my favorite color). This sarong would look absolutely beautiful with my new furniture and would have a place of honor on my bed. So pretty! I would probably try it out as a scarf because it looks like it would be nice and big. I'd smush it up in my knapsack and take it hiking with me as a picnic blanket and then wear it when I got chilly. Or everyday as a scarf. If it's not hanging on my wall for me to stare at, I'd probably have it around my neck at all times! Do want! I would use it in my silver trailer as a bed cover and then if want to feel fancy on the road a sarong! Happy travels. Too pretty to just wear! I'd just as a blanket at the end of my bed, conveniently placed for late afternoon naps. I'd use it as a bed cover or a wall hanging, they are just too pretty not to be seen all the time! Love it...would use it for everything...throw on the couch, wrap, tablecloth...it's so multifunctional. Aside from the design and vivid color - the beauty of the "sarong" is that it can be worn or displayed. I cannot wait to wear it and decorate my living space with it. Something this beautiful and useful is a special find. Oh my goodness. A textile like that would find so many uses in my house - but with summer on the way, I think beach throw/wrap/bundling cloth/picnic rug probably most likely. Gorgeous! Given the abrupt turn of season in my "neck of the woods" this beauty would be used repeatedly as a scarf and as a wrap to stave off the chill in my apartment. I'd wear it as a skirt! These are beautiful! I'd love to wear one as a scarf in dreary Cleveland this winter! I'd wrap it around myself and my 2 year old son as we sat on the grass looking at the stars. Just kidding, I'd probably wrap it around us while we watched Cars 2 for the millionth time on the couch. It would be nice to make that common experience feel more lux. So lovely! I like to use sarongs as wall hangings and, if they're big enough, a screen/space divider. I have long dreadlocks so I'd probably use it as a headwrap. I also think it would be nice to fashion into a nice top wear with a pair of dressy pants and a blazer for going out. Gorgeous! I would use it in my son's tepee! Complete my flowing head-to-toe silk halloween costume (already including the upstate kimono)- channeling the Stevie Nicks witch vibe at the Fleetwood Mac concert on the 31st. The sarong could be the perfect cape, no? Complete my flowing head-to-toe silk halloween costume (already including the upstate kimono) - channeling the Stevie Nicks witch vibe at the Fleetwood Mac concert on the 31st. The sarong could be the perfect cape, no? I'd wear this on my morning bike ride into work...its been really chilly over here! oh Clementine--my Ridgeback mix--and i would don the sarong on one of our desert rambles here in the ol'pueblo, chasing some geckos and buying pumpkin empanadas. a nice long afternoon after a teaching morning ;) upstate does have a righteous scene..
As I am trekking through the soft, white sand to find that perfect spot to lounge all day, I am wearing my bathing suit and my beautiful Upstate Sarong around my waist. After a nice walk down the beach away from the weekend crowd, I take my Sarong off and lay it flat onto the sand, the perfect beach throw to lay on all day. One last dip into the ocean before I head back up to the house. I grab my Sarong, shake the sand off, and use it to dry off the oceans healing waters. I wrap the sarong around my torso and wear it as a dress as I return home. As the sun is setting it is the perfect time to do some yoga on the back porch! I lay my Sarong on the wooden ground and use it as a yoga rug while I do a quick Vinyasa Flow. Dinner time! Food is all ready and I lay my sarong out on top of the table outside to use it as a tablecloth. Friends arrive for dinner and cannot stop complimenting me on the indigo dyed tablecloth, little do they know it is not JUST a tablecloth ;) It's been a long day and I can't wait to get some rest. I wash my Saraong and pull it out of the low tumble dry and hop into bed as the Sarong lightly floats on top of me... AH, the most perfect light-weight blanket. 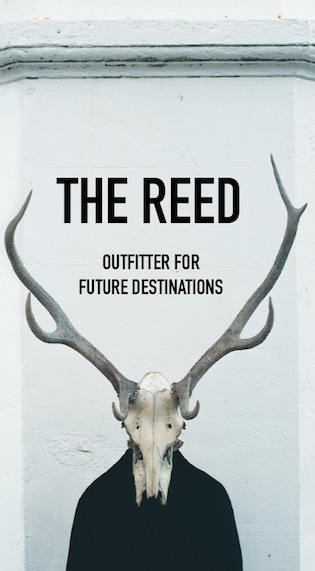 These pieces are perfect for travel. A scarf for chilly plane rides and breezy evenings, a wrap skirt, a cover up and blanket for the beach. These beautiful pieces can be styled effortlessly casual and sophisticated. It would be a pleasure to wear one of these amazing pieces. It would add some amazing color to my bedroom, but it's so pretty that I'd want to wear it, too. I'd throw it on as a wrap or scarf in the harsh Iowa winter. ooh as a chic wrap for the airport and a blanket to sleep under on the plane. Then tied into a little carryall as i trot around town or through the market. I would dedicate a song to it, Sarong Song, with more sarong and less thong. So rad! Definitely could be worn as a scarf, cover-up or draped somewhere in the home. I'd throw on my favorite jeans, wrap that beauty around my shoulders and run off to Forest Hills to rock out to the Replacements on Friday BECAUSE FRIDAY IS MY BIRTHDAY AND UPSTATE IS ROCK'N'ROLL, Y'ALL. I love a cloth I could use as a sarong or a picnic blanket! I also could see tucking one of these around an ugly chair until I get around to reupholstery! Beautiful! I go to the beach about once a week and this would make a great cover-up! I'd use it as a throw blanket or as a canopy over my bed. Since I refuse to give into the fact that summer will be ending soon I will be rockin it at the beach as a sarong. Then when it starts to get chilly I'll probably run up and down the beach with it tied around my neck as a cape. I'd wear it as a swimsuit cover up, or just bring it with me wherever I go in case I need a scarf/cover up to keep me warm! You never know when you might need that extra something to keep you warm! love this -pool cover up and as a wrap or table covering for a nice dinner! great color. I would work this into not decor so I could enjoy gazing at it every day over coffee. Although I would also use as cover up on sunny balcony. Lovely! Take my beautiful raw silk sarong and finally book a long weekend getaway to HI. No excuse now. End my procrastination! Sweet dreams-I'd take it to the park & nap over it. I'd drape it on my couch & nap under it. I'd use it as a wall hanging or a coverlet so I could look at it every day! So so beautiful. I would use it as protection against San Francisco's summer like fall/foggy nightfall conundrum! They are so beautiful!! I would also use as a chic scarf to wear during the winter when I bike commute to remind me that summer is always around the corner. Love you blog! Love the scarves! I would use it as an all-purpose wrap/towel/cover-up/blanket for my upcoming honeymoon trip to Belize. 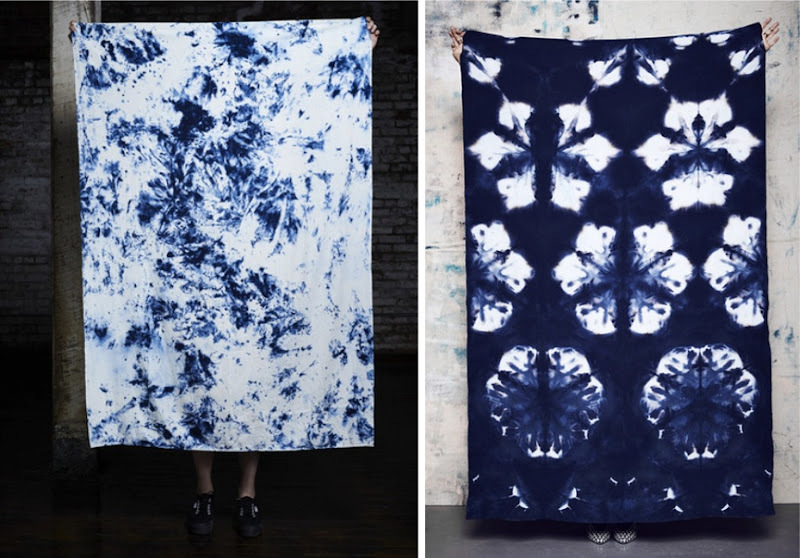 I love Upstate's use of traditional Japanese Shibori techniques re-invented in a fabulous way, and would revel in the opportunity to retire my well-loved pashmina and make an Upstate sarong my newest all-purpose travel piece!!! Such a versatile item! I would use it as a tapestry in the cold Canadian winters to remind myself of summer. Then in summer, a beach blanket! A Scarf! a Sarong! Would wrap it as a sarong while I'm painting in my studio--love to be wrapped in something simple, but inspiring while I work! I know that this contest is over, but I love these sarongs! I live in Hawaii and would use it at the beach, in my truck to cover my seats after a surf session, or as a lightweight blanket for afternoon naps on the weekends. Beautiful pieces! I think it'd make a great wall tapestry for my apartment! Of course, I'd also have to take it down often to use as a wrap. Love love love!!! I would use it as a cover up and blanket at the beach! As a grad student, I would wear it with confidence to teach classes and have an impromptu blanket to take naps in! Win win! Oh man, I would wrap myself in it at work (it's freezing in here) everyday!! oh my, how could I choose? They all are sublime. The second image would look awesome on my grassy hill or equally great at the beach. as a blanket for yoga. as a throw on my bed. as a tablecloth, as a place for a picnic, took camping, as a an piece of clothing wrapped around me somehow. those are some ways. The earthy reddish fabric would work overtime in our tiny travel trailer, especially now it is cool, with falling leaves. It works as a bed cover, an afghan, a wrap for the first coffee drunk while standing outside, as the sun comes up. Easy to wear as a quick and gorgeous cape draped and pinned with an antique Mexican silver brooch, for those occasions when the road takes you to a jazz club. Finally, it can be a temporary curtain in front of the bed niche, a cozy place to read on a rainy day in the woods. It's starting to cool down here so I would use my sarong as a scarf and then wear it as a wrap at work. I would most likely use it as a beach blanket for me and my girl to lay on at Point Reyes. We love going to the beach, but hate when the sand gets in stuff. It would be awesome to see this sarong age. If I wasn't using it as a blanket, my girl would probably have it wrapped around her. Beautiful. I would use it as a blanket in my reading chair. I would wear it as a skirt, a cover up and as an oversized scarf/shawl. Great for air travel! I would definitely use it as a light weight blanket for the summer. It would look really cool against crisp white sheets. They are really summery and beachy but unexpected at the same time! Love indigo I just cannot get enough of it! I would make a head wrap out of it for fall and winter as well as wear it as a skirt with a nice button up white blouse. I would use it as a blanket/bed cover. I over the blues. So soothing! I don't have a head board, so I would hang it on the wall behind my bed for some visual impact. It'd look great with my grey bedding! Obsessed! Perfect for large scarf/light blanket for traveling or a shruggish/kimono-esque thing (that's a thing- right?!) over a simple T and jeans. The sumptuous wrap will become my canopy to surround myself in shade. Throwing it over the boom of our sailboat - while anchored in the harbor. I will wrap the silken sarong around my hips - throw on my husbands white oxford - slip on my birks and step onto the dock, as the evening sky fills with flickering lights. Cooling by day - and warmth by night. I don't like to treat anything as too precious, so it would be a multi-purpose object of beauty for me: Bed cover at night, Sarong robe in the morning, wear it to the beach and lay on it for the day, and spread my sunset picnic of lobster rolls and rose on it as my beach blanket.